Dr. Frank Houston Lowry, Jr., born October 5, 1926 passed away 10:45 A.M. Thursday, August 12, 2010 at Blount Memorial Hospital. Son of the late Frank, Sr. & Elizabeth Lowry. Well known Family Practice Physician in Madisonville, TN for 43 years. �as most of you know, Houston was the closest thing to a mentor for many of us in the Society. He will be sorely missed, both for his wisdom and wit�but also his passion and support of all things MacLaren. He held many officer positions and was sort of an unofficial historian and moral compass after he retired as President�. "Houston was both a friend - and an example. To us all. Most of us would hope that, in our life, we could be counted in the first category amongst those who know us. Very few can aspire to the second. Houston was both. A gentle man - in every sense. He was a man who loved his family both immediate and extended - his clan. As his Chief, I am proud to have known him and I deeply mourn his passing. 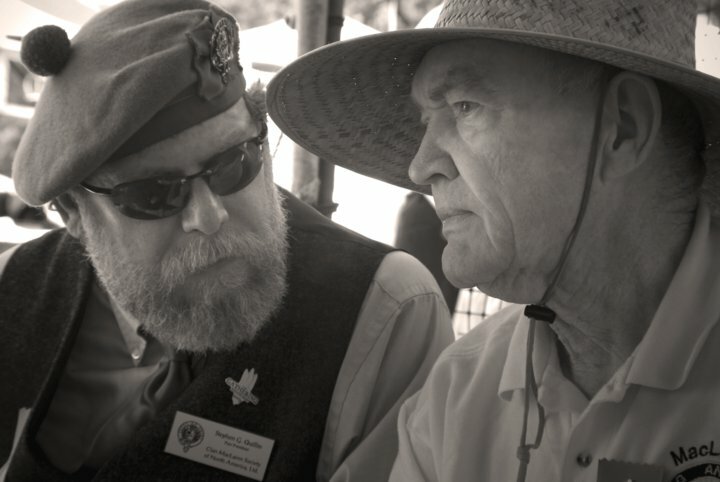 Houston was there at the beginning of the Clan MacLaren Society of North America and he served his kinsmen and his clan in every senior position to help consolidate and develop that strong sense of kindred that we all recognise and benefit from today. If the Clan means anything it is because of the extraordinary combination of loyalty, resilience, fortitude, dignity and love. Houston combined all those strengths and virtues. We mourn him, of course. We should also celebrate. He has given us every thing to learn from." Survivors: wife of 62 years, Freda Tallent Lowry, 8 sons and daughters, 12 grandchildren and 10 great-grandchildren, preceded in death by brothers, Joe & Robert Lowry. Graveside service & interment was 10 A.M. Saturday, August 14, 2010 at Haven Hill Memorial Gardens. Memorial service was 2 P.M. Saturday, August 14, 2010 at Madisonville Presbyterian Church, Rev. Mike Chamberlain officiating. Family received friends immediately following the memorial service. Memorials may be made to the Madisonville Presbyterian Church or the charity of your choice. Arrangements by Biereley-Hale Funeral Home, Madisonville.